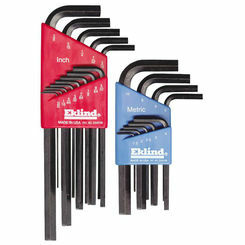 No matter what type of wrench set you may need, PlumbersStock has a wide selection. 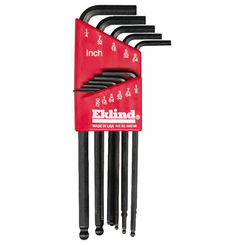 You can save on T-handle sets, ratchet sets, pipe wrenches, Allen wrenches, and more. 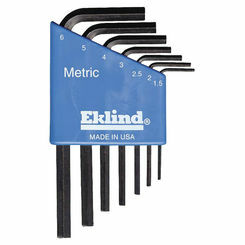 Many home improvement projects require a variety of sizes, which is why we offer big discounts on the best wrench sets online. 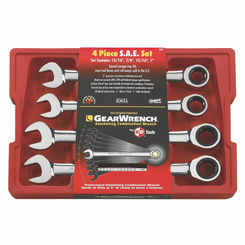 Few hand tools are as useful as wrenches, and when you shop with us you can take advantage of our great pricing and save on a new wrench set by Regal Service, Greenlee, Reed, and Malco. 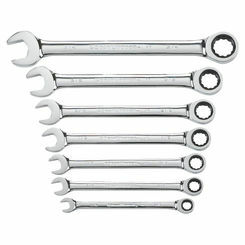 A wrench set can contain any number of different wrench types for use around your home, workplace, or job site, including monkey wrenches, pipe wrenches, sockets, T-handles, etc. for different applications throughout your home. 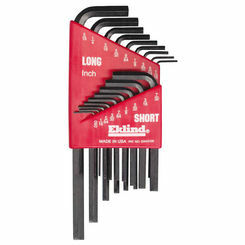 If you’re looking to purchase a new wrench or wrench set, save by shopping at PlumbersStock and purchasing tools that are a fraction of market price. 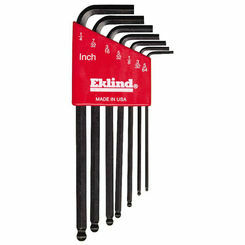 There are two basic types of wrenches: electric-powered ones and manual, handheld ones. 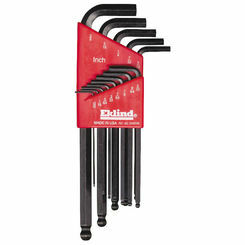 In this section, we will list the main types of handheld non-power wrenches. Monkey Wrench – This tool has been around for hundreds of years, although it’s not as popular to use now and has mostly been replaced with the appearance of the pipe wrench. A monkey wrench is a large, bulky, adjustable wrench with a smooth surface, best for turning nuts and bolts without causing harm to them. Pipe Wrench – Similar to a monkey wrench, this tool is also large, heavy, and has adjustable jaws but has a surface lined with teeth. This surface makes the pipe wrench ideal for gripping and turning things such as iron pipes and fittings with a rounded surface. The smart design of the adjustable jaw enables it to shrink or expand to the proper size. In addition, forward pressure on the handle results in the jaws clamping shut tighter for a better grip. 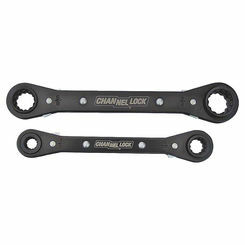 Socket Wrench – A socket wrench, also known as a ratchet wrench, is identified by having a long, thin handle and a small, hollow socket attachment. 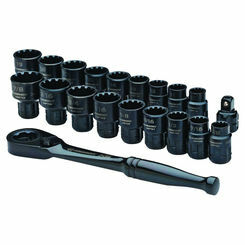 Sockets are modifiers that adapt the wrench to the proper shape and size for tightening specific nuts, bolts, or fasteners. 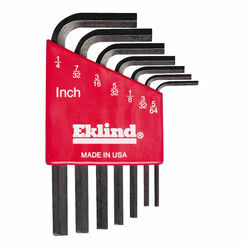 This tool is most often used in automobile repair and building construction. 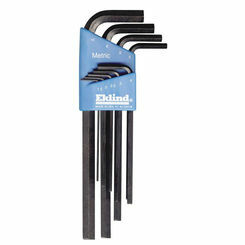 Allen Wrench – An Allen wrench, also known as a hex key, is an L-shaped metal bar equipped with a hexagonal head at each tip. This type of wrench is used to turn bolts and screws that have hexagonal shapes. 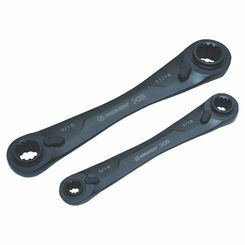 Speed Handle – A speed handle is a specialty wrench used to quickly loosen nuts until they’re off. The nut is first loosened with a socket wrench before the speed handle is used to remove it. 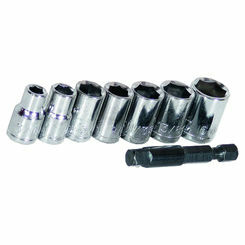 Speed handles are typically not strong enough to break loose or tighten nuts. 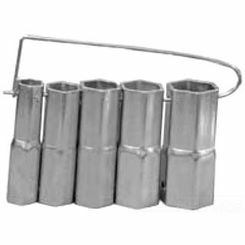 Lug Wrench – A lug wrench is a specific type of socket wrench used to loosen and tighten lug nuts on the wheels of vehicles. 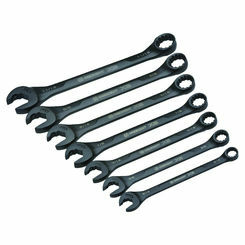 Lug wrenches can be identified by their shape, which may be L-shaped or X-shaped. A lug wrench often comes with a prying tip on one end which can be used to remove wheel covers that may be blocking the lug nuts from sight. 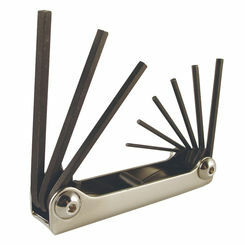 T-Handle – This tool is essentially a socket attached to a handle in the shape of a T, used for leverage. 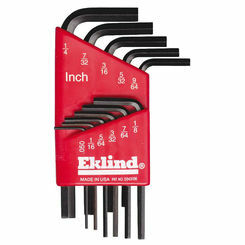 This tool is most typically used to turn taps, hand reamers, or screw extractors. 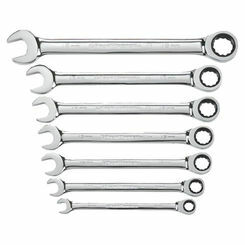 A wrench is a basic tool to have in order to do many basic jobs around your home. 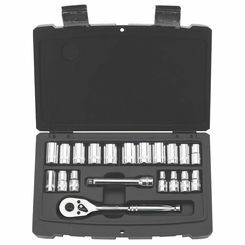 Specialized wrenches exist to make screw, nut, or bolt extraction easier including pipe wrench sets, socket wrenches, lug wrenches, and speed handles. 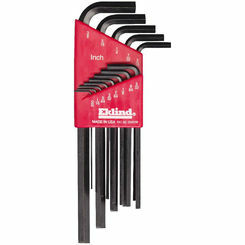 Here at PlumbersStock, we offer many of these types of wrenches in sets for low, affordable prices. 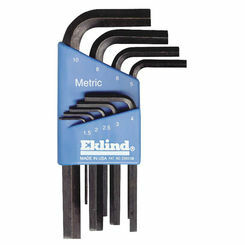 Shop with tool experts and see for yourself why so many professionals choose us for hand tool sets.